Ray Greene, 84, of West Union, Ohio passed away on Wednesday, December 19, 2018 at the Hospice of Hope Ohio Valley Inpatient Unit in Seaman, Ohio. He was born March 18, 1934 in Neon, Kentucky. He was preceded in death by his parents, Glen and Stella (Bentley) Greene; sister, Mildred Robison, and brothers, James, Walter, Ralph and Wayne Greene. 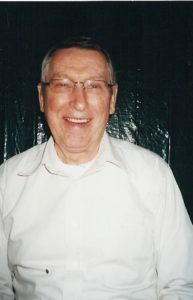 Ray is survived by his wife, Ivy (Crase) Greene of West Union; daughter, Sheila (Kurt) Fuller of Woodland Park, Colorado; son, Steven Greene of West Union; sisters, Carol (Donnie) Arn of Winchester, Ohio and Paula Wilson of Batavia, Ohio; brother Bill Joe (Evelyn) Salyers of Batavia, Ohio; four grandchildren; one great grandchild, and many cousins, nieces and nephews. Ray was a barber for over 40 years. He was a Veteran of the US Army. In lieu of flowers, memorial donations may be made to the Hospice of Hope Ohio Valley, 215 Hughes Boulevard, Mt. Orab, Ohio 45154 and/or Mt. Olivet Community Church, c/o Donnie Arn, 9745 Russellville Road, Winchester, Ohio 45697. The visitation is from 12 until 2 pm Sunday, December 23, 2018 at Lafferty Funeral Home in West Union. The funeral will follow at 2 pm with Pastor Mark Cole officiating. Burial will be at Cherry Fork Cemetery in Cherry Fork, Ohio. The Adams County Honor Guard will conduct a military service. To Ivy and Steve. I’m so sorry for your loss. Ray will be missed greatly. Heaven gained an angel. My thoughts and prayers are with you. Take care and God Bless. I’m so sorry for your loss Ivy. I would be at the funeral but my health won’t allow. Stay strong. Love you.